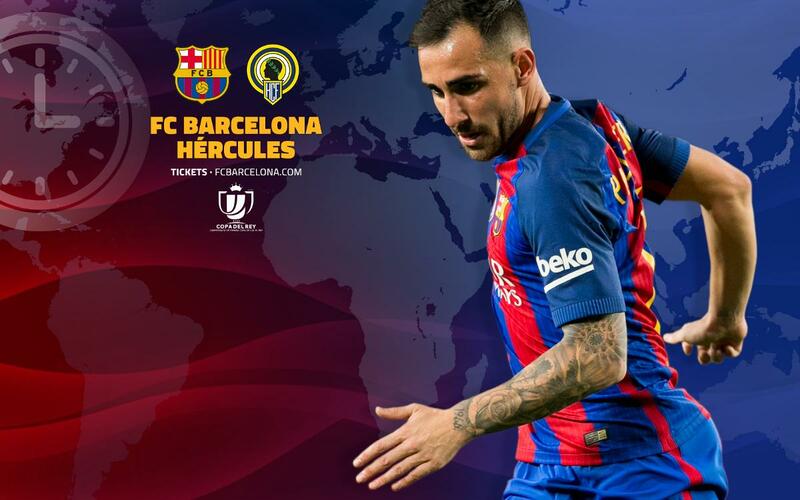 FC Barcelona will finish 2016 with the home fixture against Hércules on Wednesday at 10pm CET in the return leg of the Copa del Rey round of 32. Barça have won this competition for the last two years running and Luis Enrique's men are looking to bring their positive league form into this cup fixture. In the first leg of the tie played in Alicante the teams shared the spoils with a 1-1 draw thanks to an Aleñà goal. Below you will find the kick off times where you are and what channels will offer the game in your home town. If they aren't showing the game you can still tune into Radio Barça or follow our social media outlet updates so that wherever you are in the world you can get the latest on Barça's final game of 2016!